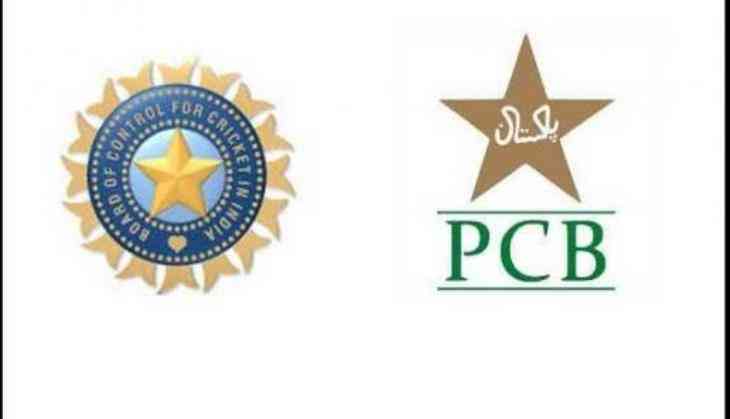 Pakistan Cricket Board (PCB) has reserved around one billion rupees (100 crore in Pakistani rupees) to bear the legal costs of filing compensation claim against the Board of Control for Cricket in India (BCCI) in the ICC Disputes Resolution Committee. PCB Chairman Shaharyar Khan said in an interview on Saturday that the board of governor’s meeting on Friday had given approval for the budget to cover the legal costs. “We have hired a British law firm to represent us in the case and file the compensation claim with the disputes resolution committee,” Khan said. He said the PCB had no option but to seek compensation from the BCCI for not playing any bilateral series with Pakistan despite a MOU signed between the two boards in 2014. Khan said the claim would be filed with the ICC committee shortly after the BCCI had failed to respond to the notice of intent sent to them by the PCB and three rounds of talks with their officials also failed to break the deadlock. “The BCCI claims they can’t play any bilateral series with us since their government is not giving clearance to them,” he added. Under the MOU the two countries are supposed to play six bilateral series between 2015 and 2022. The PCB, he said, had already sent a notice to the BCCI seeking USD 69 million in compensation from the Indians. “With India refusing to play us in a bilateral series we have lost millions in revenues. Even our broadcasting contract is clear that unless Pakistan and India don’t play a series or more during the tenure of the contract a sizeable amount is deducted from the contract amount (sic),” he said. Khan also confirmed that the planned tour by the World XI to Lahore from September 12 was subject to clearance and security assurances from the Punjab government. “Giles Clarke who is organizing the tour as head of the ICC special task force on Pakistan cricket has some reservations over the delay in the PCB giving them clearance for the tour,” he said. He said without the PCB first getting clearance and security assurance from the government, it couldn’t give the same to the ICC special task force. Khan also made it clear that Pakistan would not restore cricketing ties with the Afghanistan Cricket Board until the latter gave a public apology. “The Afghanistan board has (to) apologise for the way they publicly gave a statement about Pakistan and Pakistan cricket. We were surprised at their statement because we have always supported Afghanistan cricket,” he added. Khan also said that as far as relations with Bangladesh were concerned the only issue was that they would have to tour Pakistan first as Pakistan had already visited Bangladesh twice and will (not) go there for a third consecutive time. The chairman said domestic cricket of the country was not too appalling as it had been portrayed and some of their coaches were qualified and very good. Khan also made it clear the BOG was not happy at all with the performance of the national women’s team in the World Cup. Khan said he was leaving the PCB in a good state of affairs as the ICC Champions Trophy victory by the national team was a big boost for Pakistan cricket despite international teams not touring the country since 2009. “Sarfraz Ahmed did a very good job as captain and we feel that since he has been made captain in all three formats and is still young Pakistan cricket has a good future ahead of it,” he said.